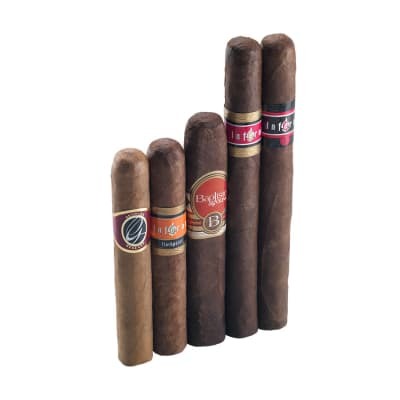 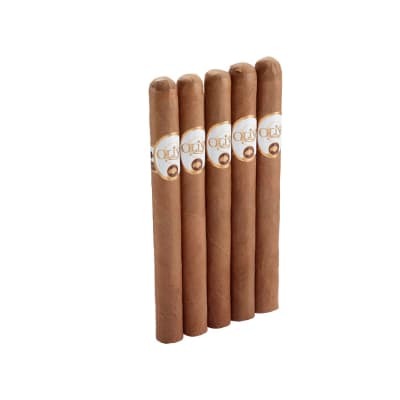 iROBUSTO and Famous Smoke Shop created this sampler pack of 5 cigars with the premium cigar smoker in mind. 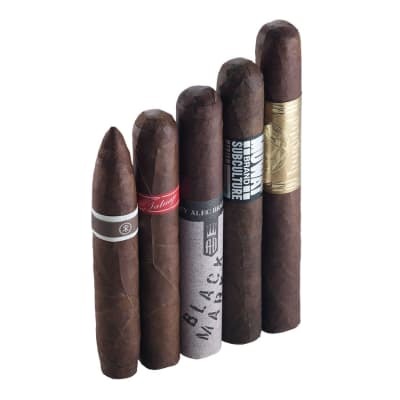 This sampler has 5 different smokes from some the best cigar manufactures in the industry. 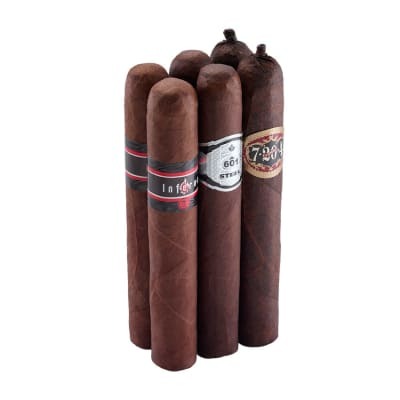 Famous has partnered up with iROBUSTO to offer you this exclusive sampler at this irresistible price. 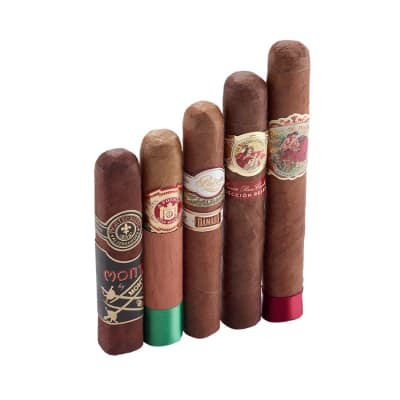 Eh... Not impressed by this selection at all.